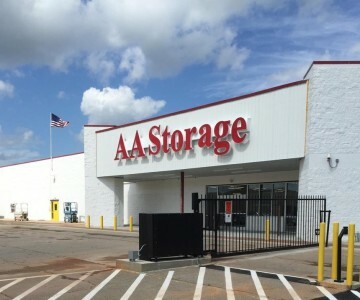 The South Hill AA Self Storage center is located in the former Walmart building, next to Super Walmart, Arby’s, Boyd Honda and First Citizen Bank. Our storage center is off of Highway 58, and the exit from I-85 is only a half mile away. Nearby towns include Chase City and Boydton, VA, and well as Kerr Lake and Lake Gaston. Click here for directions to our South Hill location. AA Self Storage is organized and easy to access — if you would like to view our storage center, come visit us today. Contact us to set up an appointment, and we’ll give you a tour of our premier storage facilities. Or, view our online photo gallery to see our South Hill location. Make a reservation with AA Self Storage today! AA Self Storage offers self storage, climate-controlled storage and more to South Hill, VA. Our storage centers are located throughout Virginia and North Carolina, including Lynchburg, VA and Henderson, Raleigh, Jacksonville, Oxford, Wilmington, Porters Neck and Butner, NC.